I will give this episode a lot of credit for managing to straight up surprise me. Of course I expected to see the conflict between Spartacus and the servants of black. That was a given considering where the last episode ended. 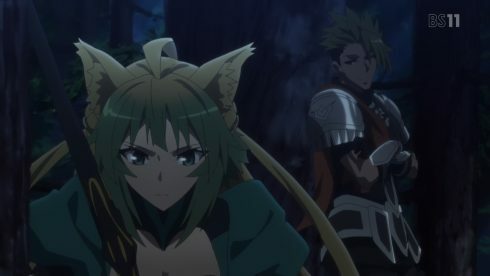 What did really catch me off-guard was the sacrifice of Siegfried and how this episode concluded. Siegfried gave up his life to save a homunculi and the war just shifted down an interesting track. After all I completely discounted something like this happening because of the first episode. 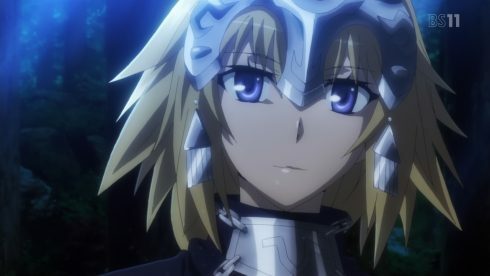 We saw Mordred fighting Siegfried. I presumed that guaranteed his survival at least until they fought. Of course now this gives Mordred calling Siegfried a fake entirely new meaning. Presuming the first episode wasn’t straight up lying, somehow a Siegfried that shouldn’t exist is there fighting. 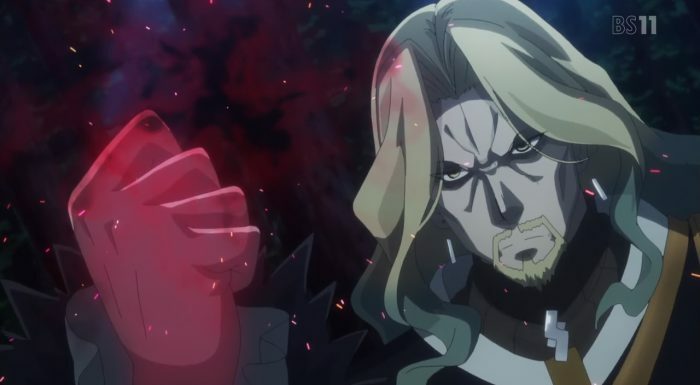 Does this mean the Black side somehow managed to clone or create a fake Siegfried? 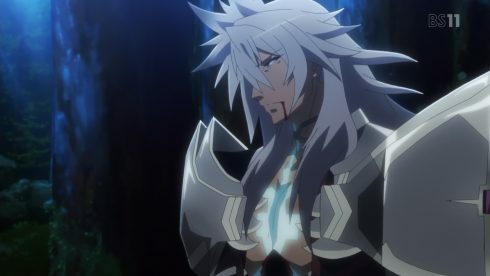 The sacrifice does make me respect Siegfried more than I did earlier. He was a decent guy before this, but I really appreciate his move here. The guy went ahead and delivered a KO to his Master before going ahead and making the ultimate sacrifice. All he wanted was to save someone through his own desire to do so. He lived a life saving people based on the cries of others, but this was one time he could make that choice for himself. It is a big move and one that leaves an impact. He not only saved a life, but changed up the power dynamics of this war by leaving it like this. At least his sacrifice won’t be in vain with Jeanne taking responsibility for looking over this person. I really respect the effort made by Astolfo. 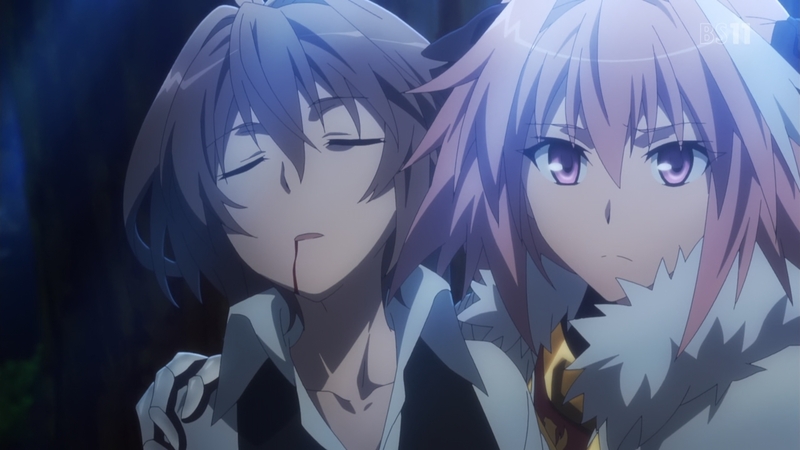 Of course seeing Siegfried making that kind of sacrifice should leave an impact on Astolfo. But I do respect Astolfo for sticking to his ideals. He made the choice to save this life even if it meant clashing with his temporary allies. This person asked for help and his beliefs lead to him deciding to help. And I really did like the message given to the homunculi. It isn’t just about making a mark on history or leaving something behind. The act of living as long as you can means something. If you can find someone to follow or forge a connection with that has meaning too. I just liked the passion of Astolfo’s words to Siegfried. Even if they are servants in this war, they still have their individual’s beliefs and desires. It would betray Astolfo himself to abandon that effort. Another important part of all this though is the state of the Red Faction. I already thought last week that those masters were controlled or drugged. I’m almost certain of it at this point. I mean Rider and Archer haven’t even met their masters? Isn’t it beyond strange for servants to never meet their masters? That everything is going through this priest is extremely odd. They are going to become enemies even if they win against the black faction. And yet none of them have a problem living in this kind of bunker with the Master of the Assassin servant? Yeah, this is all pretty darn odd. Good instincts on Mordred and Sisigo for refusing to get involved with this bunch. It seems almost certain that it was the actions of Kotomine that resulted in the Grail summoning Ruler. Something very creepy is going on with the Red Faction. Strangely enough it is the Black Faction that seems somewhat respectable. At least they seem to be playing this within the rules. Their actions of using homunculi as batteries and disposable soldiers are disgusting. But, at least it doesn’t seem like their masters are being brainwashed. No doubt Darnic has some twisted plans to secure himself the win, but so far it isn’t too obvious what that is. While things look pretty bleak for the Red Faction Masters, their Servants are pretty impressive. Having a famous hero like Achilles is a pretty nice gain. He’d be near invincible if the other side didn’t have Chiron who clearly knows about that legendary weak spot. Plus I wouldn’t be surprised if he had been an instructor to Achilles. 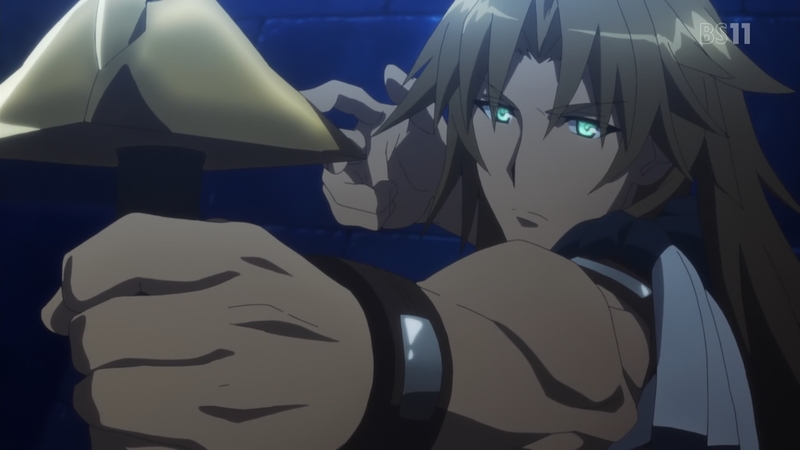 Still he managed to easily fight off Siegfried and Berserker. Honestly I’m kind of worried about this Berserker doing any better than Spartacus who was easily defeated. Compared to Berserkers we’ve seen in other Fate series both seem pretty underpowered. Heck from the opening I saw it’s entirely possible that Spartacus ends up the core of that monster we saw Jeanne fighting in episode 1. Anyways this was another good episode. The mystery surrounding the Red Faction is interesting. But even more so is how the story will unfold. The Black Faction captured Berserker of Red, but they lost their Saber. That loss alone might avoid Rider suffering any extreme consequences. They can’t really afford to lose two servants this early in the competition. That Ruler will be looking out for this now aged homunculi should keep the Black Faction at bay. 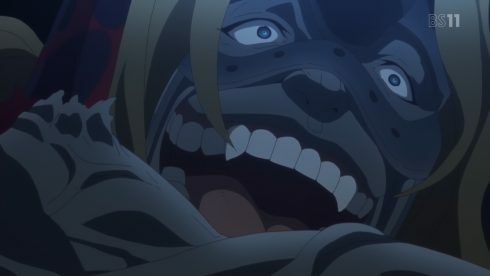 They can’t really think it is worth picking a fight against a judge in this competition just because they want that homunculi. Regardless things should only get more interesting from here.